Deltas are attractive areas to live in and therefore densely populated. However they are threatened by human impact and climate change. Dealing with these threats requires a solid understanding of how natural and societal systems interact. Future Deltas develops integrated knowledge for future delta life. Understand the complex interactions among physical, biological and chemical processes and human interventions that affect subsidence and loss of ecosystem services. 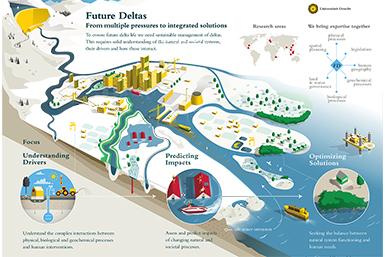 Assess and predict impacts of subsidence and associated loss of ecosystem services in deltas. 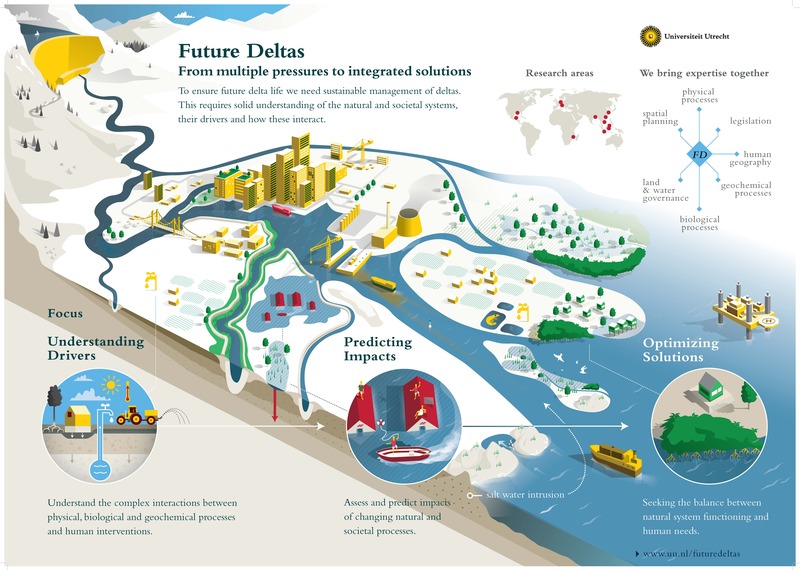 Analyze, evaluate and improve management strategies to deal with impacts of subsidence and loss of ecosystem services.